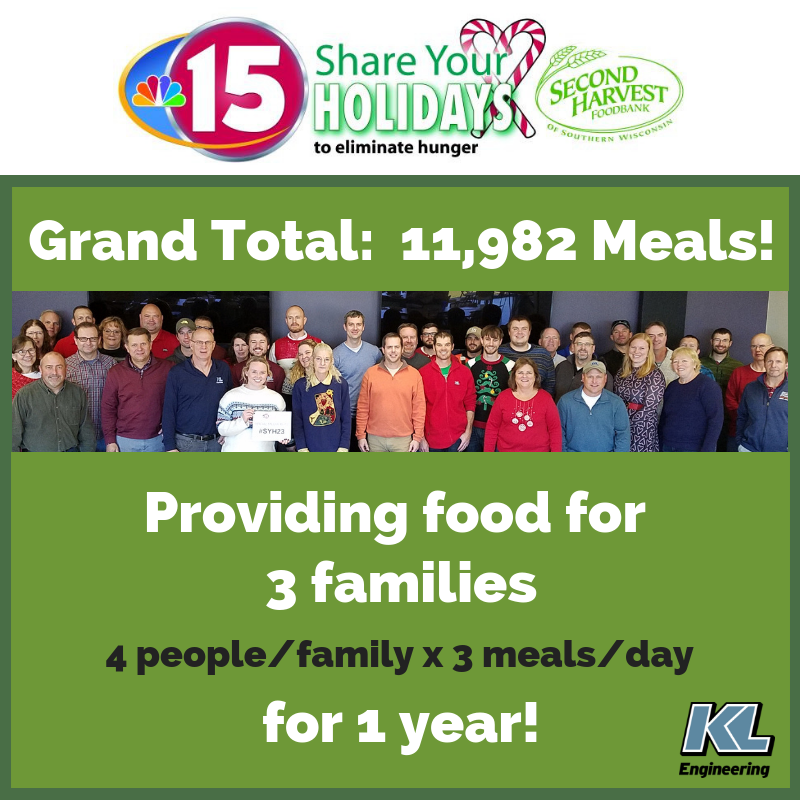 We are proud of our KL family for all of their donations to the 2018 NBC 15 Share Your Holidays to eliminate hunger campaign! We raised enough money to feed 3 families (4 people / 3 meals a day) for an entire year! Many thanks to all who donated to this special cause!